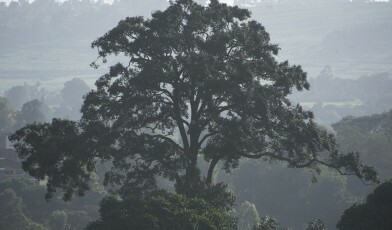 Brackenhurst Botanic Garden, situated just outside of Nairobi in Kenya, has restored 40 hectares of indigenous forest. Over 100 rare East African trees have been planted in the restored forest, providing a safe site for these species of conservation concern. Brackenhurst Botanic Garden is situated in Limuru, Kenya. The forest in the region was once so extensive that it hosted leopard, buffalo and elephant, and blocked city residents’ view of Mount Kilimanjaro. Less than 2% of original forest remained before restoration work began at Brackenhurst Botanic Garden, with the rest mostly transformed into tea and eucalyptus plantations. 40 hectares of forest has now been replanted at Brackenhurst. In just 15 years, the project has replaced exotic tree plantations with a 30-foot tall native forest that shelters indigenous trees, lianas, orchids and a species-rich understory. Conservation of threatened trees is a strong focus of the restoration project. 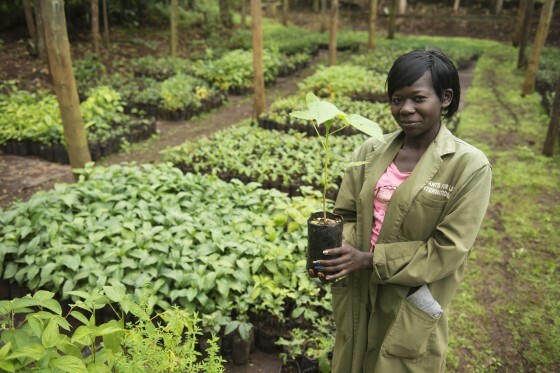 Collection of seeds and wildlings, propagation efforts in the nursery, and subsequent planting in the restored forest at Brackenhurst is providing conservation for some of East Africa’s rarest trees. Collection, propagation and planting efforts are generating increased knowledge about these species, which is vital for their survival as habitat destruction continues. The restored forest is now home to over 170 species of birds, 120 species of butterfly, as well as fruit bats. The project also provides livelihood opportunities in an area of high unemployment, by training and employing local people. GTC provides support to Brackenhurst by helping the garden to establish links with funders, government and NGOs, with the aim to scale up the valuable conservation and restoration work of this institution. 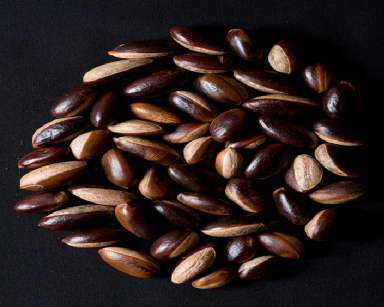 Seeds of Pouteria adolfi-friederici. Credit: Barney Wilczak.